Moaning Caverns is a fun commercial cave in California known for its long winding staircase. 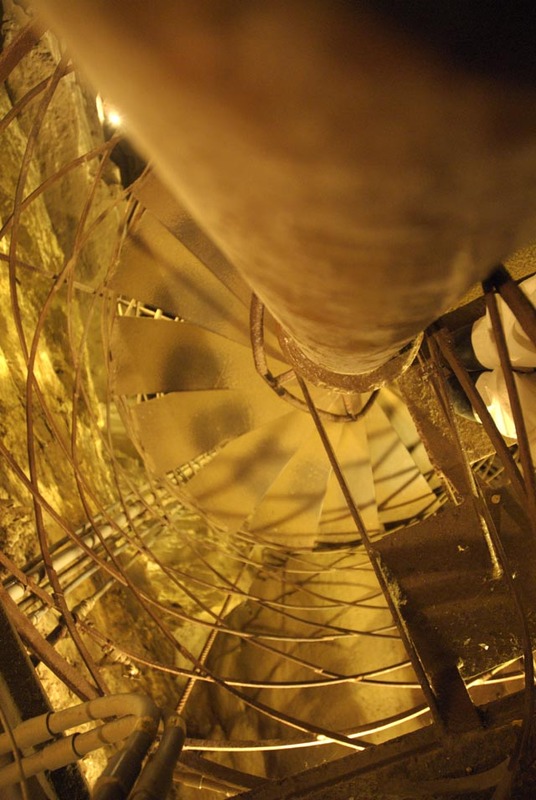 This spiral staircase has something like 162 steps, and goes straight to the bottom of the cave. There is artificial light in this tourist cave, which is near Angel’s Camp (rte 49) off of Parrot’s Ferry Road. There are signs everywhere! They offer a rappel for a bit more money.